This post is sponsored by Everywhere Agency on behalf Carter's; however, all thoughts and opinions are my own. From the very beginning we made a promise to you Londynn, we promised to love you and protect you. We knew that in life there would be many trials we'd face, yet together as a family we knew we could do anything. I had an interesting experience the other day that I'd like to share with you guys! I met another Mother with a son who was living with a little extra. The conversation I had with her was one of the most challenging experiences I've faced so far. Her son was in his late 20's I believe. He was full of life and love! His spirit instantly drew me to him so I went up and introduced myself to his Mother, where I also let her know a little less then a year ago we also had a daughter who was born with a little extra.I always want to introduce myself to other families who have family members or children living with a little extra because I believe we are connected in a special way, yet by the time I get myself to finally do it tends to be to late. With saying that this was my first experience where I finally just went and did it! Now you are probably wondering why was this a challenging experience? Was it because I was scared or nervous to go up and introduce myself? In fact it wasn't it at all. After introducing myself to her she shared a little bit about her son. She shared the things he loved as well as the things she's learned along the way. She shared her knowledge and things she thought would be useful to me. She was a very lovely lady and as our conversation was coming to end she shared something that shattered my heart. She said there's this place down the street where I can take Londynn to play where the kids also have Down syndrome because no one will EVER come knock on my door and ask to play with my child.... This broke my heart because I knew she truly meant what she said. And I had no doubt in my mind her child has had opposition and challenges in his life where he wasn't included in the community that he lived in. This shattered my heart my heart, yet what really shattered my heart was the way the conversation ended. She explained that there was a mother on page she was apart of on social media who shared that she wished her child would just move on from this life because it was just to difficult to raise her child who had special needs... She then followed this statement by saying " I do kind of understand where she is coming from being a parent to a child with special needs isn't easy." She is right about one thing. It isn't easy, yet raising any child special needs or not isn't easy it's hard you. Yet it is one of the most rewarding things I've ever done. I wanted to share this story and say THANK YOU! I believe this world has changed for the better when it comes to the way we treat others especially those living with a little extra. I believe this lady had these feelings because of the generation her son was raised in. People weren't as accepting as they are now. We've gone from individuals with disabilities being hidden away to loving them and excepting them for EVERYTHING they are which is more a like than different. I believe we still have a lot of advocating to do yet thinking of where we were FROM THE VERY BEGINNING TO NOW we've come a long way and for that I'm grateful. 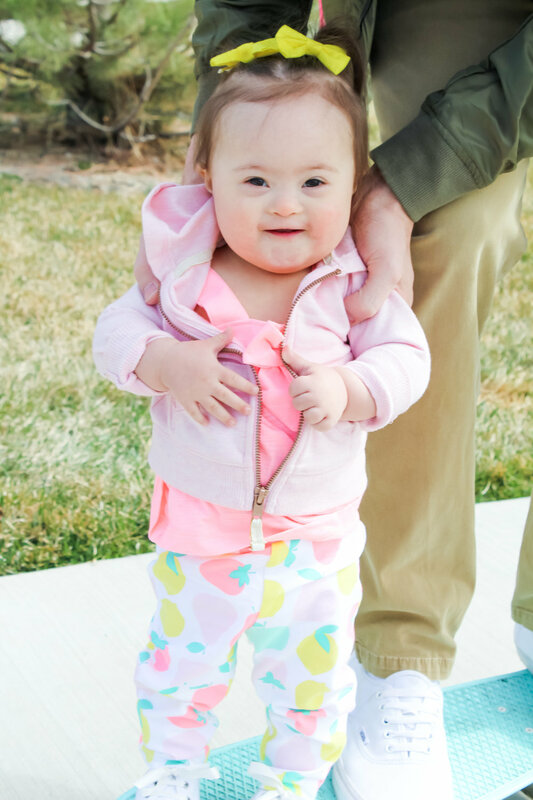 We'd LOVE for you to join us in celebrating world Down Syndrome Day March 21st, 2018 by wearing some crazy socks and or yellow and blue! FROM THE VERY BEGINNING I knew that we were going to have an amazing life filled of joy and love because of Londynn. Yet just like this lady we also knew we'd face some challenges in our life where maybe Londynn just wasn't seen for who truly was. Yet we know with all of you by our side we can do anything! Today as I was cleaning Londynn's room I finally started folding all her preemie clothes. I've held off on folding them for awhile now because I'm honestly just not ready for my baby to grow up. I've watched Londynn beat the odds several times. I've watched her do things they said she wouldn't do in these simple little things we call clothes. She's an amazing little girl and as we hit a year of us being blessed with her lovely spirit we also get to look forward to the things she will do in this upcoming year! Recognizing you favorite movies (Sing and Trolls). Learning how to SPLISH SPLASH IN THE BATH! ( YOU CAN SHOP LONDYNN'S SWIMMING SUIT BY CLICKING HERE). As I look back I realize just how much Carter's has been with us through every tear, smile, laugh, and accomplishment. You guys showered us with LOVE when Londynn was born! We received so many CARTERS clothes in a time of need and we will always see these clothes and remember just how loved we truly were and still are. You guys have been with us through every milestone and we hope we can continue to learn and grow with you guys! If you know of anyone looking for preemie clothes or you are looking to shower someone you love Carters has the perfect apparel that will be perfect from the very beginning of this beautiful journey called parenthood. 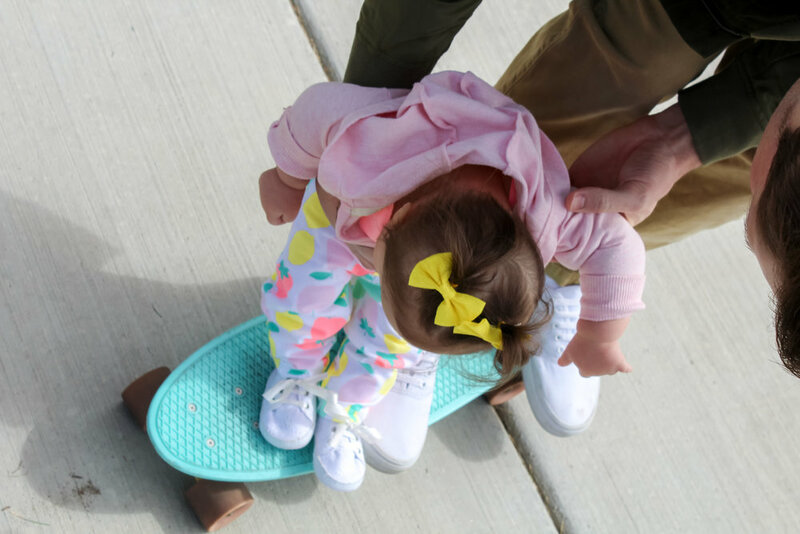 Below you can click CARTERS COUPONS to receive special offers and coupons to make shopping even better!